If you love games that are full of action and if the continuous gunfire is just like a sweet music to your ears, the strike force heroes games are the best ones for you. This is a war game that is full of challenges and adventures. Test yourself how long can you survive in a battlefield along with your enemies loaded with high power ammunition. Your mission in playing strike force heroes is to shoot all enemies around and leave no one alive. 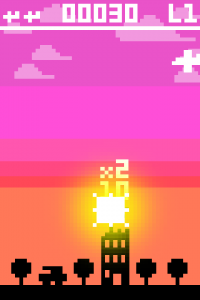 While playing, collect all the power ups, those will give you more health, ammo or cash. Every mission has different objectives for you to fulfill them. There are missions where you will have to kill as many enemy soldiers as possible. There are some missions where you have to kill a number of enemy soldiers first before the enemy soldiers kill you a number of times. Then there is also a mission where you simply have to kill the enemy first before you are killed. And there are a lot more variations. This will make the game more exciting and not boring. And each mission involves different rewards too. Some missions will reward you cash or new type of weapon or unlock a new type of soldier or a combination of any of these three. And you also unlock the next mission when you win the battle. In the first installment, you will go through fifteen levels in the Campaign Mode and fifteen stages in the Challenge Mode. There are sixty five weapons to unlock. There is also a Quick Match Mode. In the second sequel, there are also fifteen missions in the Campaign Mode and a lot of challenges. There is also a Custom Game. And in the third installment, strike force heroes 3, is the most improved version. It is also the most challenging of them all. Aside from the sophisticated graphics, it was also made longer than its predecessors. There are fifty missions to go through and enjoy. And a lot of video clippings were embedded throughout the game, making the game realistic. It starts and end with video clippings. In the Earn To Die game series, you will not shoot zombies. You will drive and smash them instead. The goal of each game is to reach a certain destination by driving a vehicle without being stuck or running out of fuel. There are usually three vehicles to use in the entirety of each game, the first being given and either buy or unlock the succeeding vehicles. The next vehicles are better or more capable than the other. In the first Earn To Die game, the Super Wheel was missing. In fact, an upgrade of the wheel is not available. But in Earn to Die 2014, also known as Earn To Die Super Wheel, the super wheel had been found. This version is exactly the same as the first one, with the addition of the super wheel. That means you can now upgrade the wheels completely. The zombies had invaded your town and you are one of the survivors. You saw a helicopter some three thousand feet away. And so you need a vehicle to get there. You have five hundred dollars initially, enough to buy a Small Hatchback. As you drive, you will be plowing zombies. Your score or money earned will be based on how far you got and how many zombies you have killed. Upgrade your vehicle’s fuel, wheel, engine and transmission and weapon for better performance. If the Hatchback is fully upgraded, it can go to a distance of one thousand feet; obviously not enough to reach the helicopter. When you have earned enough money, the next vehicle to buy is the Good Old Pick Up costing twenty five thousand dollars. It is much stronger than a fully upgraded Hatchback even without any upgrades. But then, it is not still capable to run until where the helicopter is even when fully upgraded. So you have to buy the last vehicle, the Cool Heavy Truck which is the strongest vehicle and costing two hundred thousand dollars. When fully upgraded, this truck will make it through to the helicopter. It is not required to fully upgrade the Hatchback and the Pick Up. However, fully upgrading them is essential so they can go as far as possible in each run. Going a great distance each run means earning more. Rip Powers is one of the best the football players of the school. They have a game against Cowell High the next day but unfortunately, someone used honey on his protein shake. Because he is allergic to honey, he was disabled. Duncan Cox, a notorious student and is about to face suspension, was tasked to investigate and discover who put honey on Rip Powers’ protein shake in exchange of the suspension. But if he fails to discover who did it, the principal will hold him responsible for it instead. So start investigating by asking people in the school questions. You will be given choices on what to do. Then you will be given questions or comments to tell the person you have chosen. High School Detective: The Case of the Honey Trap is a challenging point-and-click mystery game. Try your instincts to discover the real culprit.